Also Known As –Leonurus cardiaca, lion’s ear, lion’s tale, throwwort. Overview - Motherwort is a tall green plant with jagged leaves and tiny pink or lavender flowers. Originally from China, the herb is now grown in many places around the world. It is easy to grow, and it self-sows easily in waste land areas. Harvest in the summer and dry in a well-ventilated shady spot. Medicinal Uses – Motherwort, as the name implies, is often used in conjunction with childbirth. Some women begin taking it in late pregnancy to gear up for labor. Some take it even earlier to promote relaxation and relieve stress. Some midwives recommend it as a uterine tonic. Some believe the herb will prevent miscarriage and relieve the pain from Braxton-Hicks contractions. Susun Weed, an herbalist and author, recommends motherwort for preventing hemorrhage during labor. It is taken postpartum to help with afterpains. For nonpregnant women, the herb can help regulate periods. It also strengthens the heart and can be used for irregularities and arrhythmias that are based in anxiety. It is also used for headache, vertigo and insomnia. Herbs to Combine/Supplement - For postpartum depression, motherwort can be mixed with linden or ginger tinctures. 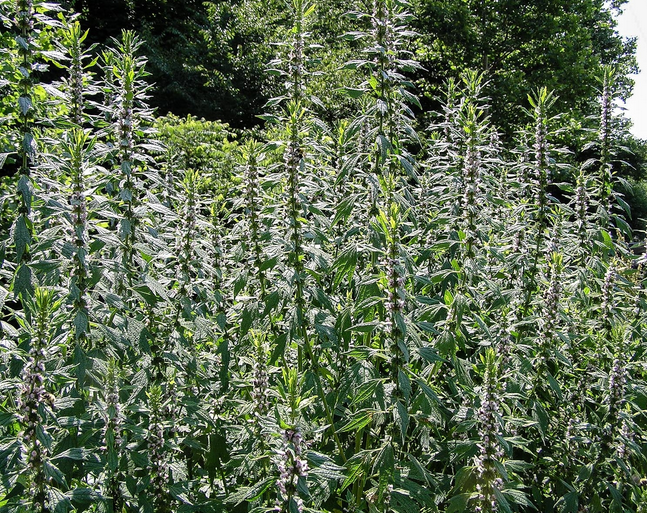 When mixed with mullein and other herbs that are beneficial to the lungs, the herb can be a good addition to help with bronchitis, asthma and other lung issues. In late pregnancy, it can be mixed with other uterine toning herbs like red raspberry leaf to add herbal support for a shorter, more efficient labor. Parts Used - The aerial portions of the plant are used medicinally to make tincture, capsules and tablets. Each tincture comes in a light-resistant amber bottle, with an eye dropper, and a tamper-evident seal. Precautions - Motherwort should be avoided in early pregnancy since it can bring on menstrual bleeding. If you have a clotting disorder or take blood thinning medications, do not use. Preparation and Dosage - Use a up to a tablespoon per day is safe. The tincture does not taste good, so you may want to add it to an herbal tea or some other beverage to make it more palatable. To use capsules, 1 to 4 per day is sufficient. As always, Patricia makes a wonderful product and her customer service is second to none! Thanks again! This is the 3rd brand of Motherwort tincture I have tried...so far, it seems to be of exceedingly high quality taking far fewer drops to achieve a positive result! Thank you very much! I'm glad to have found a supplier for a somewhat difficult tincture to lay hands on at times. Click the button below to add the Motherwort Herb Tincture to your wish list.